Hey, do you remember Ilmatar? I'm sure you do! She used to be one of the most recognized members of Spellhold Studios. She may be gone somewhere now, but her work can never die! 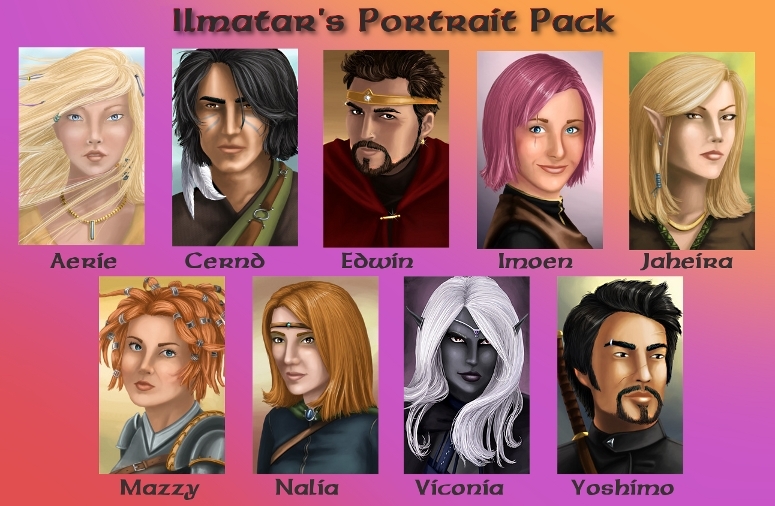 Ilmatar's Portrait Pack is the mod that replace 9 BG2 NPC's portraits with her original images.